After the death of Jeb Stuart, who do you believe should have been given command of Lee’s cavalry, and why? 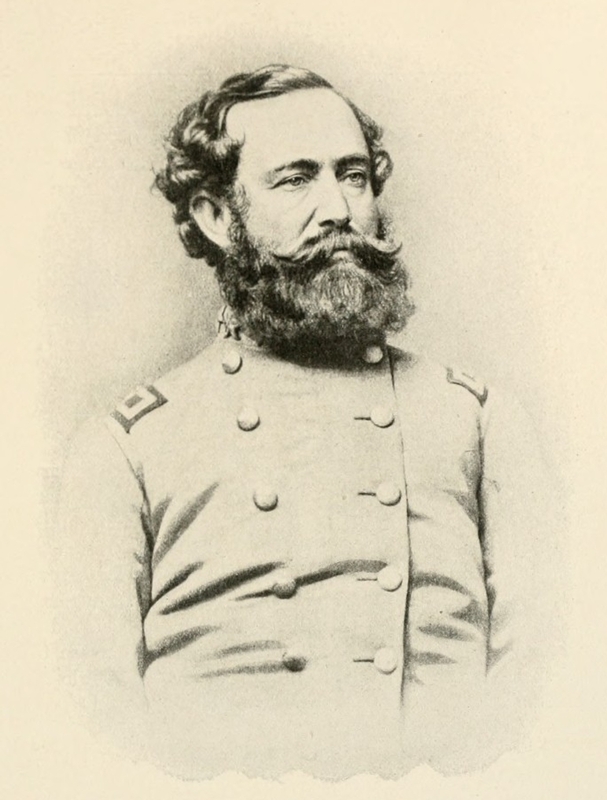 This entry was posted in Question of the Week and tagged Army of Northern Virginia, Fitzhugh Lee, Question of the Week, Robert E. Lee, Wade Hampton. Bookmark the permalink. Nathan Bedford Forrest. In the past I have also recommended Forrest to replace Jackson at Jackson’s death because I believe that 1. Lee was probably the only Confederate general once Jackson was dead who could have successfully commanded Forrest; 2. Forrest was an instinctive commander and soldier like Stuart and Jackson, another general with a particular gift for strategic thinking; 3. Forrest was one of the few generals on either side, once Jackson and Stuart were gone, who believed in full-out battle. He was fast, ruthless, instinctive, and believed in finishing a job. By the time of Stuart’s death, Forrest had earned a reputation that would have given him immediate command and respect from Stuart’s troops. Lee desperately needed Forrest’s innate intelligence, aggressiveness, and energy to both complement and supplement his own. He needed someone who could and would think independently but always about battle and winning. As his own energy flagged, Lee needed Forrest to replace the invaluable Jackson and very definitely at the death of Stuart. Unfortunately, as one historian whose name escapes me wrote, the Confederate high command could “not see the Forrest’s for the Lees” and refused to think of the uneducated, rough, and crude Forrest as a serious candidate to join the gentlemen in charge of the military. I wonder if Grant would have passed him over? Kudo’s to Jane Arnold for her insightful post. I wonder if Forrest’s lack of West Point credentials influenced his being passed over for positions of command other than cavalry? Everyone should read David Powell’s award-winning “Failure in the Saddle: Nathan Bedford Forrest, Joe Wheeler, and the Confederate Cavalry in the Chickamauga Campaign (Savas Beatie, 2011) before believing Forrest would have done well in command Lee’s (or anyone’s) cavalry. That requirement was wholly different than what he had done before he joined Bragg during the Chickamaugua operations, where he did not do well at all. Raiding, small tactical operations, etc. is apples, and what was required from Stuart, Hampton, etc. is oranges. Powell explains it very well. Hampton was the only man for the job, and he was outstanding. I’m with you sir. Wade was the perfect man for the job. I find Forrest extremely overrated, nowhere near an alpha dog. More a terrier nipping at heels is the description I have used on other occasions. As Charles Royster has pointed out, he was a “minor player in some major battles and a major player in some minor battles.” Nothing more. Nothing less. Just because you ride a horse don’t make you cavalry. Forrest was not cavalry, more mounted infantry. And in that regard, not as good as Wilder. He was not adept at the traditional cavalry roles of scouting, screening, & recon. Such a man would never be considered for the top Cav position in the Army of Northern VA. End of story. He was a terrible subordinate and therefore relegated to independent command. If you can’t work and play well with others, what chance is there that you’ll lead the Army of Northern VA’s horse soldiers? Slim and none. And “Slim” is doing his Elvis impersonation. And, contrary to what some believe, Rommell did not come to the US pre-WW2 to study NBF’s tactics. Rommell’s son said so. I think he’d know. That myth came courtesy of a Lawrence Wells’ novel, “Rommell & the Rebel.” It makes for one helluva story though. I don’t like those that cherry pick history. There are those that talk about Forrest at Brice’s Cross Roads and neglect Selma. Give me the whole story. I disagree. In my humble opinion, the reputation Forrest earned came after the war. Credit the “Lost Cause” for that. Completely concur with Ted and Mike. Forrest is massively over-rated. The man who should have gotten the job was the man who did get the job. Hampton was the best choice hands down.